Practice shows that more than 70% of all hydraulic machinery are highly contaminated (> NAS 9, > ISO 21/18/16), but perfect lubrication requires 100% clean oil! Clean oil decreases wear and tear, pump and valve failure, leakage, machine standstill, frequency of oil changes, but most of all … productivity and production loss. Effective oil management is essential. 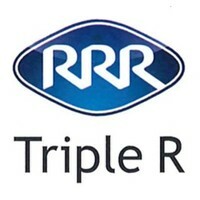 With their OIL MANAGEMENT PROGRAM, Triple R commit to continuous perfectly clean oil, at 50% of your actual oil cost! Our filtration specialist will take an oil sample before and after cleaning. The proposed solution will guarantee clean oil. When performing an oil change, you throw away oil because it’s dirty, not because the oil is bad. An Oil Management Program avoids throwing away dirty oil. With regular oil changes solid particles, water and oxidation material remains in the hoses and the system reservoir. Contaminated oil will sooner or later lead to machine breakdowns and production loss. An Oil Management Program will clean the whole system. An Oil Management Program avoids wasting your precious oil. This supports our environment and helps you save on your maintenance costs. *(One per company for hydraulic or lube oil; valid until 30/09/18 in UK).